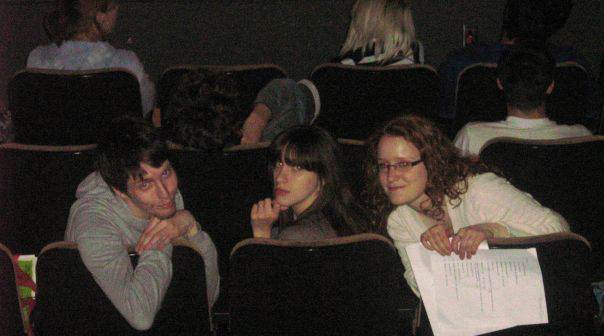 In 2008, I had worked with Will Aitken to develop and instruct an Integrated Activities course at Dawson College in the Cinema and Communications department. We used the feature-length film Four Eyed Monsters (2005) to introduce the students to DIY video production tactics, video blogging, and grassroots online film distribution models. The focus of this course was to create a series of videos and live-performances that reflected the relationships that the students had with social networks. 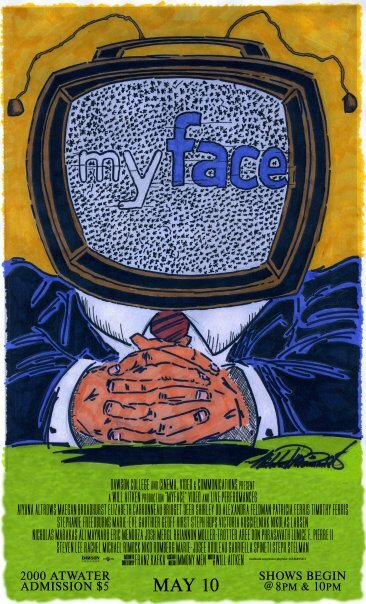 The end result was a collaborative live-multimedia production titled MyFace.